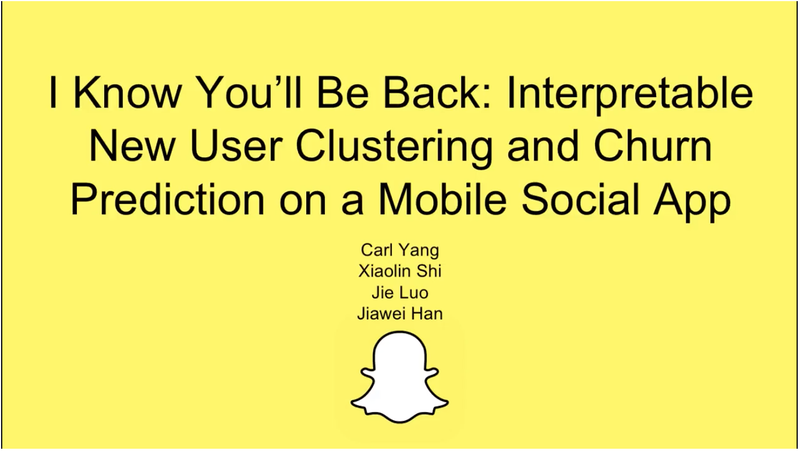 For our paper reading group this week, we will be reading and discussing this paper on “Interpretable New User Clustering and Churn Prediction on a Mobile Social App.” Checkout their preview video below. DS3 is starting a new paper reading group, which will meet regularly to collectively discuss and dissect research papers covering topics related to data science, AI, and ML. Anyone can join and participate, and we encourage you to sign up to share a paper which you find interesting. The technicalities of the paper are expected to be discussed, but in a digestible and easily accessible way. Join here!